There are those who consider composing new music about place, whether urban or wilderness, problematic—“primarily because of its transitory nature.”3Siepmann, Daniel. “Who is Creative Placemaking? New Music, Integrity and Community”, New Music Box, July, 9, 2014. http://www.newmusicbox.org/articles/who-is-creative-placemaking-new-music-integrity-and-community/ Really? Music is, has been and always will be transitory! Whether we are hiking, biking, riding a horse or driving, the nature of experiencing the landscape is also transitory. John Day River, Cottonwood Canyon State Park, 2013. Courtesy of Oregon State Parks. The landscape shifts and transforms before our eyes and under our feet. The landscape shifts and transforms before our eyes and under our feet. Weather changes quickly and dynamically impacts all it touches. We perceive our world differently in scorching sun, filtered fog, or the howling wind. Are the flowers glistening from a morning rain, or are the grasses dry and brown from a month without? For centuries, people have orchestrated their lives by the chaotic and transitory nature of the sea, the landscape, and its arteries. Are the whales migrating, the salmon swimming up stream, the bees pollinating? Is the prairie swaying, is the wind blowing nuts off the trees? All of these have sound. All of these have color. 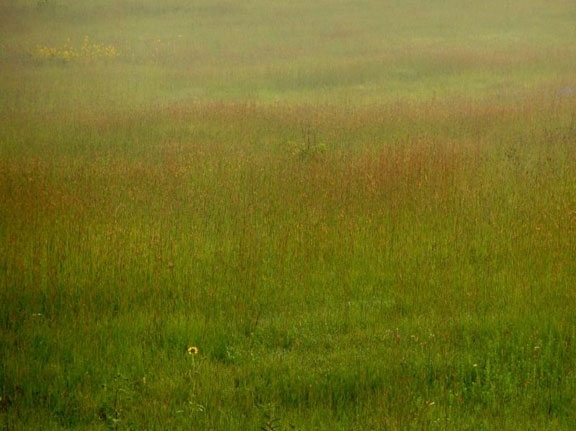 Blooming Prairie, Homestead National Monument, 2012. Photo by Christina Rusnak. The landscape changes by season, by day, even by hour. This exemplifies why music is the perfect artistic medium to express the essence of the grandeur and the minutia (and everything in between) of our natural and wild places. Some question how a piece of music composed in Utah really reflects its Utah-ness “as opposed to or separate from…South Dakota-ness”; or whether pieces written for and/or about a particular landscape or waterscape should be “uprooted and transplanted from their birth locales into…spaces hundreds, if not thousands miles away.”4Siepmann, Daniel. “Who is Creative Placemaking? New Music, Integrity and Community”, New Music Box, July, 9, 2014. http://www.newmusicbox.org/articles/who-is-creative-placemaking-new-music-integrity-and-community/ The contention is that if the aural and performance qualities of the piece are the same5Notwithstanding that no performance of any piece is the same—no two halls, no two audiences are alike. in a different setting, then the composition cannot truly be grounded in place. That would be like saying that Ferde Grofe’s Grand Canyon Suite performed in Minneapolis is not grounded in the Grand Canyon! 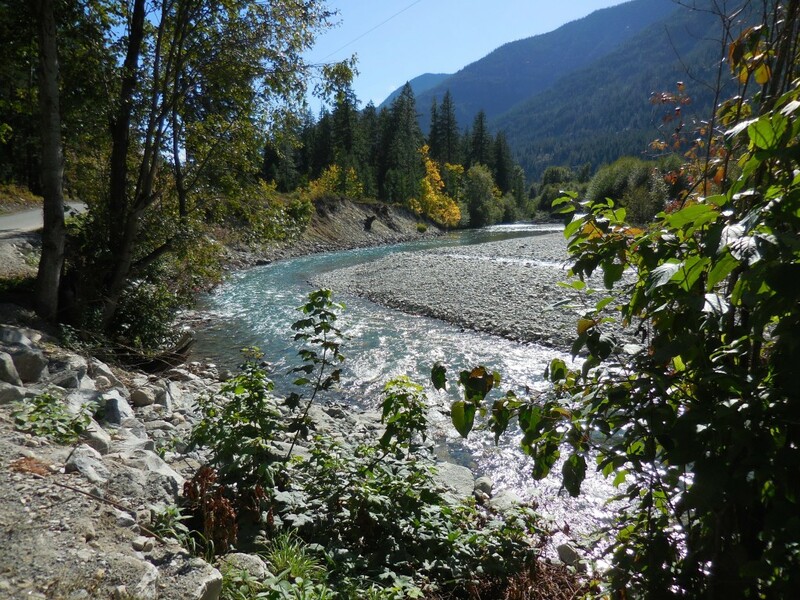 Stehekin River, 2014. Photo by Christina Rusnak. Places, and increasingly wild landscapes, are inspiring, even compelling composers to create a diverse array of New Music in a wide breadth of styles. At no other point in history have we been able to migrate our music across the globe so easily. Stephen Lias’ orchestral work transports me to the Gates of the Artic.6http://www.stephenlias.com/gaar I can feel the cold tidal waters through Alex Shapiro’s string quintet, Current Events.7http://www.alexshapiro.org/CurrentEventspg1.html As composers, our music communicates our human experience with place to others. Largely, we are not replicating the sounds of nature, but in the true definition of art, we are interpreting the Landscape and expressing it through sound. Landscape Music itself can act as an advocate for the places we are composing about. Our composing about place, the landscape, and the stories of its scientific and human history, advocates on three levels. First, we ourselves are advocating for New Music to be considered on equal footing with visual arts to interpret our parks, wilderness areas and national waterways. Second, we are helping new music reach new ears, and hopefully engaging listeners to reach out and widen their appreciation of new music. In addition, Landscape Music itself can act as an advocate for the places we are composing about. Mount Adams Wilderness, 2014. Photo by Christina Rusnak. We’re able to be some of our landscapes’ best advocates because we take the time to experience its essence and translate it into sound—pitch, rhythm, gesture, color, dynamics, attack and decay. How? Our musical expression “can be a conduit for communicating, understanding and encapsulating human experiences of the natural world.”8Cohen, Nell Shaw. http://landscapemusic.org/essays/why-i-started-landscapemusic-org/ Composers can and should present our pieces outside their point of origin. We’re able to be some of our landscapes’ best advocates because we take the time to experience its essence and translate it into sound—pitch, rhythm, gesture, color, dynamics, attack and decay. As such, the natural process of nature—life, death and rebirth—march on with minimal interference. The piece explores that natural process through the lens of a 2012 fire that searingly ravaged part of the mountain.10Columbia Arts Center. http://www.columbiaarts.org/more-arts/2014/8/rusnak-performance.html I composed it from the point of view of the mountain—not the sound of the fire, but its intrinsic feeling of anguish and of hope.11http://www.oregonlive.com/performance/index.ssf/2014/08/a_musical_tribute_to_mt_adams.html Multiple audiences have heard and discussed the piece in depth. Going Rogue for Horn Trio12https://youtu.be/rma9MnfLVgk aurally journeys along and in the swirling waters of the wild and scenic Rogue River; not necessarily from the point of view of its human visitors. 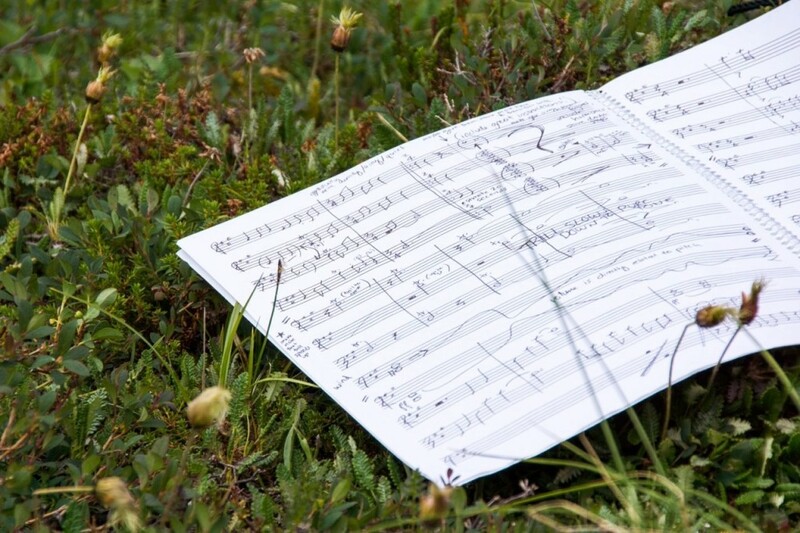 Creating music about place and in particular wilderness intersects my greatest passions—hiking, exploring and composing—and enables me to advocate for the ecocentric value of our natural heritage. During my residency at Homestead National Monument, a ranger told me, “There are two kinds of weather here: hot and windy, and cold and windy.” Hmmm. It’s a good thing I’m not a painter! I explored the rolling hills of the nearly extinct prairie, read the diaries of the homesteaders and examined images of the landscape they tried, and largely failed, to conquer. Virtually no one I know had ever heard of Homestead. “Really? You went to Nebraska on purpose? ?” I enlightened everyone I met on the beauty of the landscape and the importance of southern Nebraska as a part of our national story. 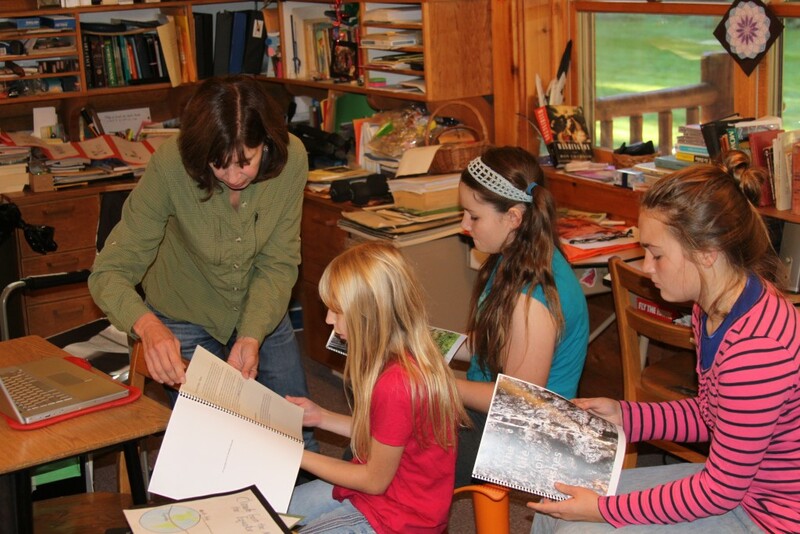 Christina Rusnak working with students in Stehekin’s One-Room Schoolhouse. Photo courtesy of North Cascades National Park. Christina Rusnak is a multifaceted composer and explorer whose work reflects a diversity of styles and points of view. Passionate about Landscape, Geography and Art as an expression of human experience, she actively seeks to integrate facets of all of these into her work. Her goal is to compose music that engages the performers and, hopefully, the audience. Cloudburst, released in 2007 launched Ms. Rusnak’s musical exploration of place and space. 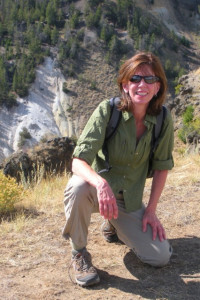 An avid hiker, she has explored many of our Parks and Wilderness areas. Her Landscape Music has included Free Land in 2012, commemorating the 150th anniversary of the Homestead Act, and four pieces celebrating distinct natures of Denali and Yukon Charley National Park and Preserve. 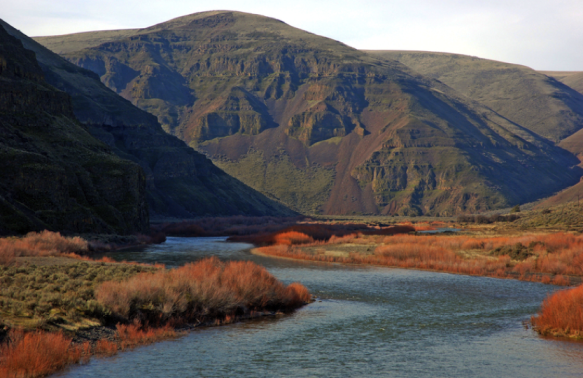 Canyon Voices was composed for Oregon State Parks’ Cottonwood Canyon and the John Day River. Going Rogue resulted from a trek along the Wild and Scenic Rogue River. 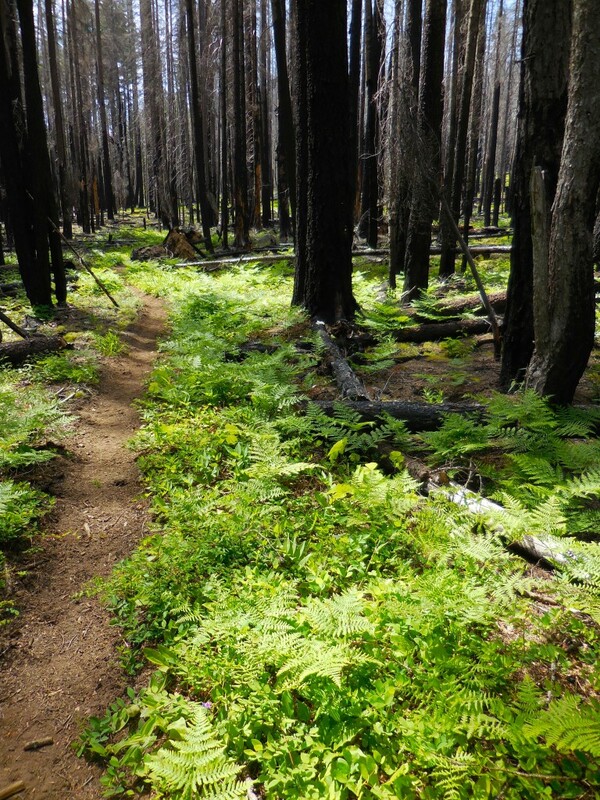 The Life of Ashes commemorated the 50th anniversary of the Wilderness Act. Ms. Rusnak was selected as Artist in Residence at North Cascades National Park, Stehekin, 2014. Ms. Rusnak also works with communities and organizations to bring music, culture, and heritage into public spaces. Her recordings are available on ERM and Parma Recordings. 5. ↑ Notwithstanding that no performance of any piece is the same—no two halls, no two audiences are alike. This entry was posted in essays and tagged guest author, manifesto, National Parks, reflection, residencies, the role of art by Christina Rusnak. Bookmark the permalink. Great piece! I really like the reference to music and place. Being from the west coast we totally have a west coast sound to our music that reflects our landscape. And I can listen to one of those songs and it puts me right back in the time and feeling.